Fragrant and spicy, gingerbread is a tasty treat. There are many different recipes out there and my go-to is infused with heaps of warm spices and a good heap of orange and lemon zest. If I’m making a batch of cookies for Christmas, the leftover orange fruit may well make its way to flavouring the turkey too. Multi-tasking! The dough is wonderfully good-tempered and so it’s great for young helpers in the kitchen too. You can roll out the dough and rework it time and again without any ill effects. It’s also fine for the baker to pinch a bit of flavourful raw dough to nibble 😉 I think this dough is the main reason we have a big collection of cookie cutters tucked away in the kitchen – most of them festive. There are holly leaves, Christmas trees, stars, hearts, reindeer, a somewhat indistinct Santa. Of course, we also have the traditional gingerbread man shape. The extra bonus with that cutter is that it makes a huge cookie! 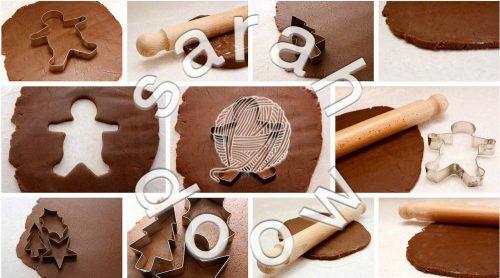 Gingerbread is great for any occasion and this stock photo set has a whole range of baking photos, which really evoke the cosy comfort of baking for the holidays. 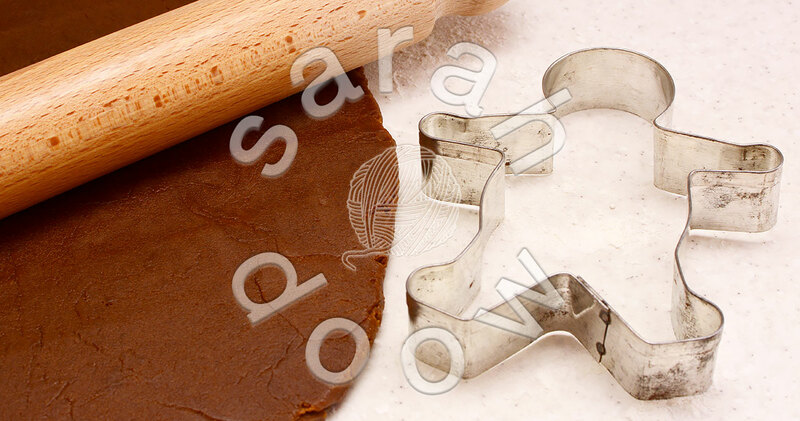 The gingerbread dough is rolled out on a floured work surface before different shaped cookie cutters are used to cut out festive shapes. Then the shapes are placed onto cookie sheets, ready for the oven.